The fixtures have been released for the 2019 Sussex Cricket League season. Although the county-wide league in its new form was in operation last year, this is the first season since the official disbanding of the leagues that used to accommodate sides across Sussex. The action begins in earnest on Saturday, May 4, and our local premier-league side Middleton begin their campaign away to Three Bridges. The same day brings home openers for our two second-division sides – Bognor at home to Haywards Heath and Chichester at home to Burgess Hill. The Observer patch also has two sides in division three west. Pagham begin their season away to Littlehampton while Stirlands begin at home to Worthing. Division five west action begins a week earlier, on Saturday, April 27, with West Wittering hosting RMU. Also starting that day are Aldwick, who begin their division six west programme at home to Steyning seconds. 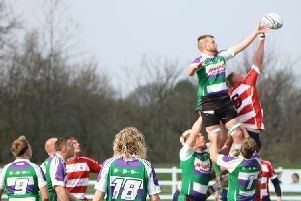 Eastergate will compete in the same division but start a week later, on May 4, at home to Goring. It’s also an April 27 start for Selsey, who have been relegated to division seven west. They start away to Horsham thirds. Bosham will play in division ten west (south) in 2019 and they open their fixtures away to Rustington twos.